Chef Tee Siriprakaisak prepares Thai food on the Upper East Side. : Chef Tee Siriprakaisak helped to introduce New York City to the spicy flavors of Thai fare decades before the influx of Thai restaurants made the cuisine part of the culinary mainstream. 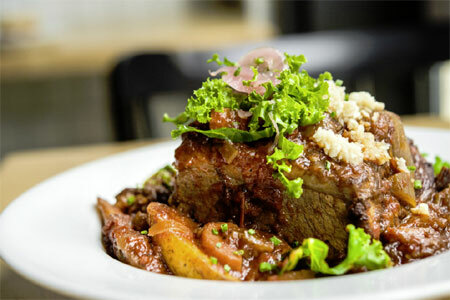 This place merges classic Thai ingredients and dishes with French styles of preparation. The dining room also blends decorative influences; chandeliers, ornate moldings on gleaming white walls, and faux gold damask motifs recall the French Beaux Arts, while a gold shrine housing an emerald Buddha and a soothing water feature reveal Asian touches. Appetizers include mild but flavorful choices like delicate minced vegetable dumplings and crispy, lightly fried spring rolls. Those who crave spice can opt for entrées like shrimp, Thai eggplant, string beans, bell peppers, bamboo shoots and basil in a coconut milk and red curry broth, and "Drunken Noodle" with sautéed chicken, eggs, onions, bell peppers, broccoli, carrots and flat noodles in a spicy basil sauce. Crisp Sauvignon Blancs and other wines as well as an array of fruit juice-centered cocktails pair well with the traditional Thai menu. Also located in Forest Hills.